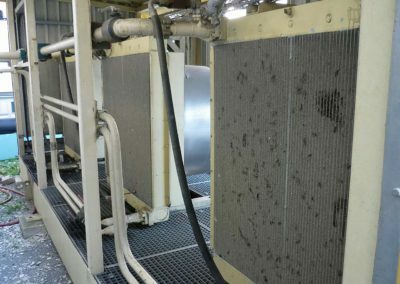 Kipp Umwelttechnik GmbH successfully employs the JetMaster procedure for gentle but intensive cleaning of finned heat exchangers with significant advantages in terms of cleaning results, costs and environment compatibility. 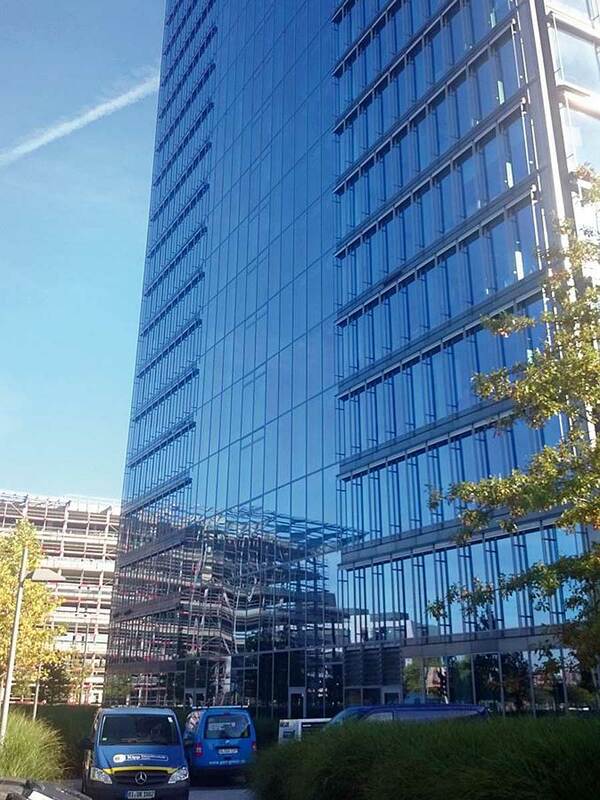 The new JetMaster procedure was developed in cooperation with a polytechnic. 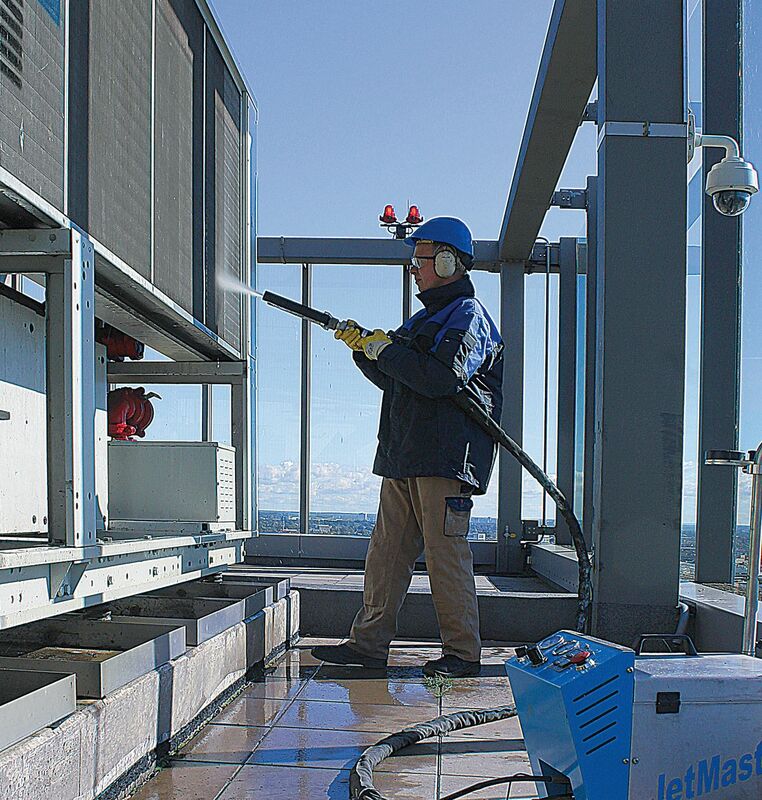 JetMaster uses only compressed air and small quantities of normal water. 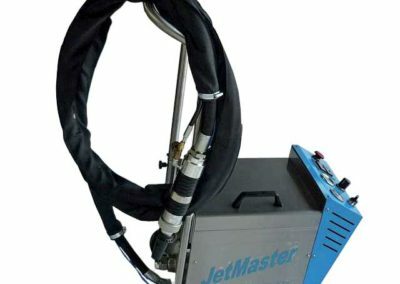 The benefits of the JetMaster are its high cleaning efficiency, fast cleaning speed, and reduced energy and water consumption. 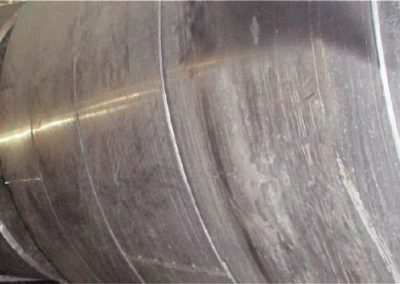 Consequences for the environment – because only air and clear water are used, only the operation of the compressed air compressor has an impact. Conservation of water resources – due to the fact that JetMaster only works with very small amounts of water, it plays a significant role in saving water resources. Health & safety – the procedure does not lead to injuries even if the jet comes into direct contact with the skin. There is also no risk to the respiratory organs because clear water without chemicals is used. 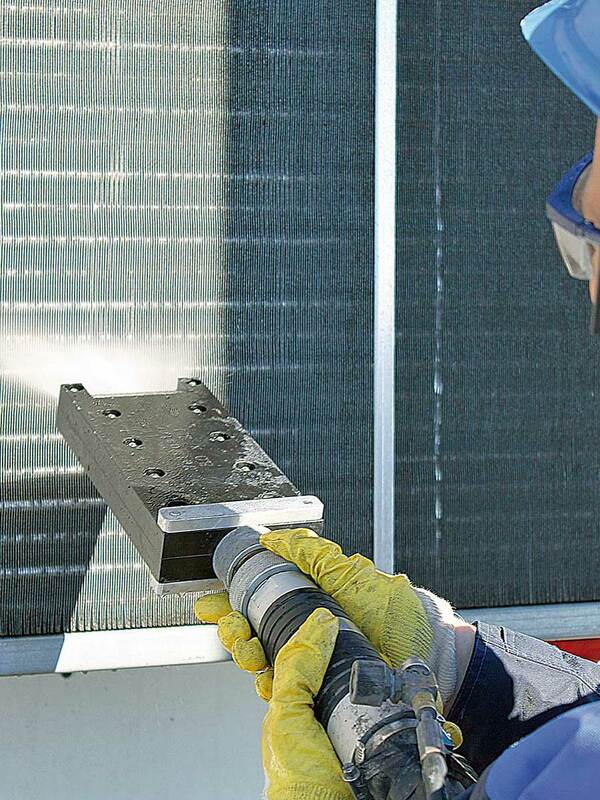 Preserving the service life of the systems – the cleaning procedure is part of the preventive maintenance protocols. 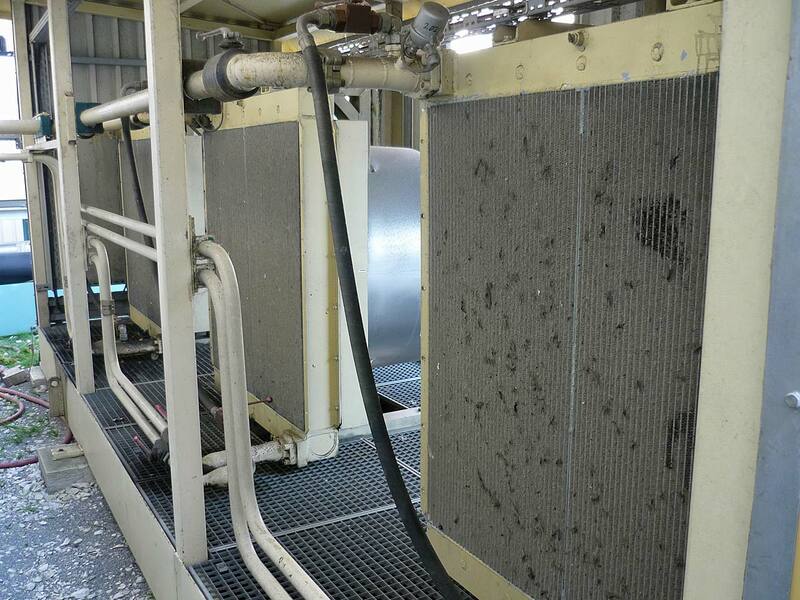 The service life of the systems is increased thanks to the gentle cleaning and other damage is prevented. 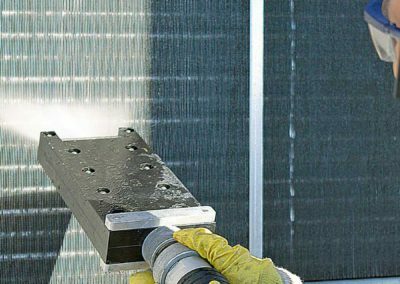 In combination with the JetPower system, JetMaster can also be used to clean solar elements on wind turbine blades or clean glass and other façades. 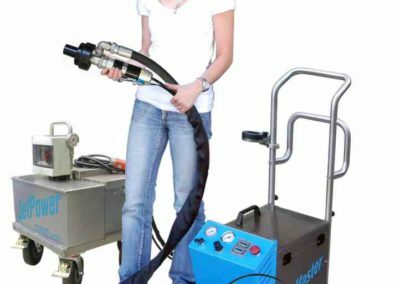 Due to the fact that the JetMaster only works with compressed air (only oil-free compressors or standard compressors with fine filter elements are used) and small quantities of water, the procedure can also be applied at sensitive sites because it has no impact on the environment. 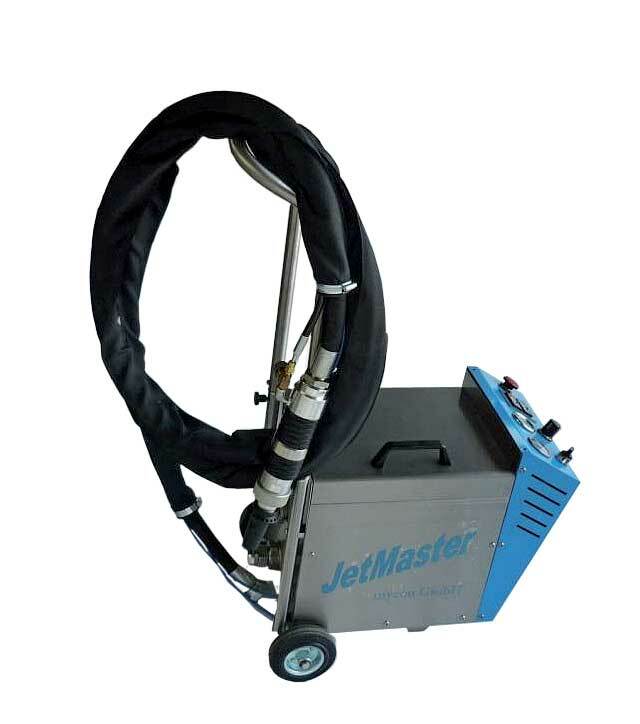 JetMaster usually works in the low pressure range of 2-6 bar. 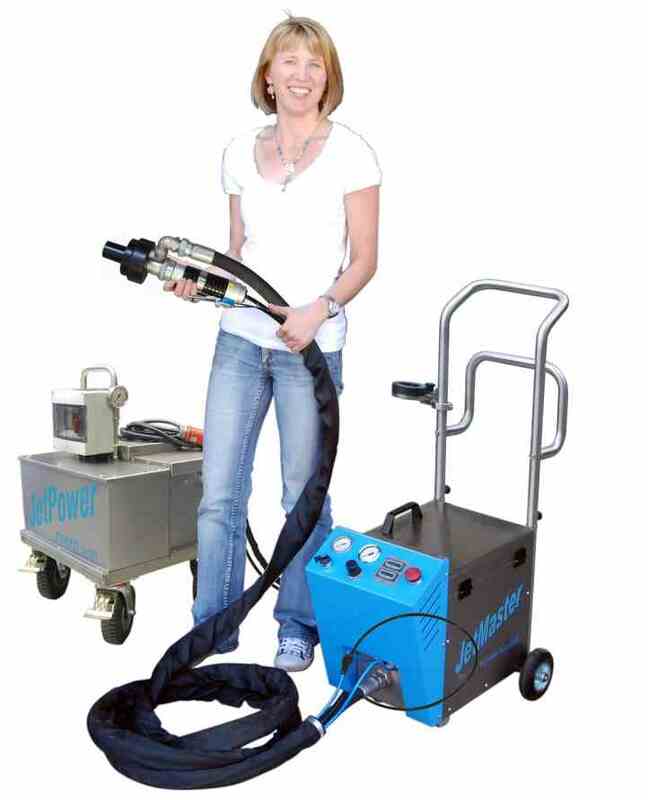 mycon GmbH developed the JetPower for cleaning large surfaces. 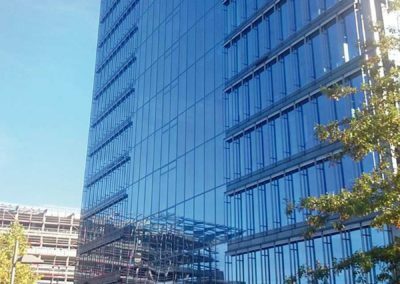 JetPower allows fast cleaning of large-surfaces and heavily soiled finned heat exchangers and also all types of glass and façade surfaces. 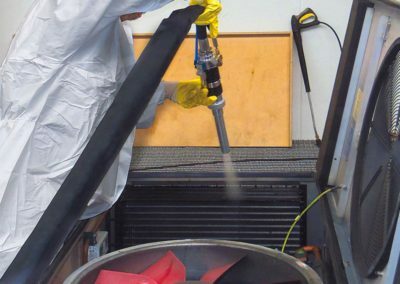 Thanks to the new system combination of JetPower & JetMaster, whose spray pattern can be set to up to one metre, large surfaces can also be treated inexpensively. Here, too, the system only works with compressed air and water with no chemicals. 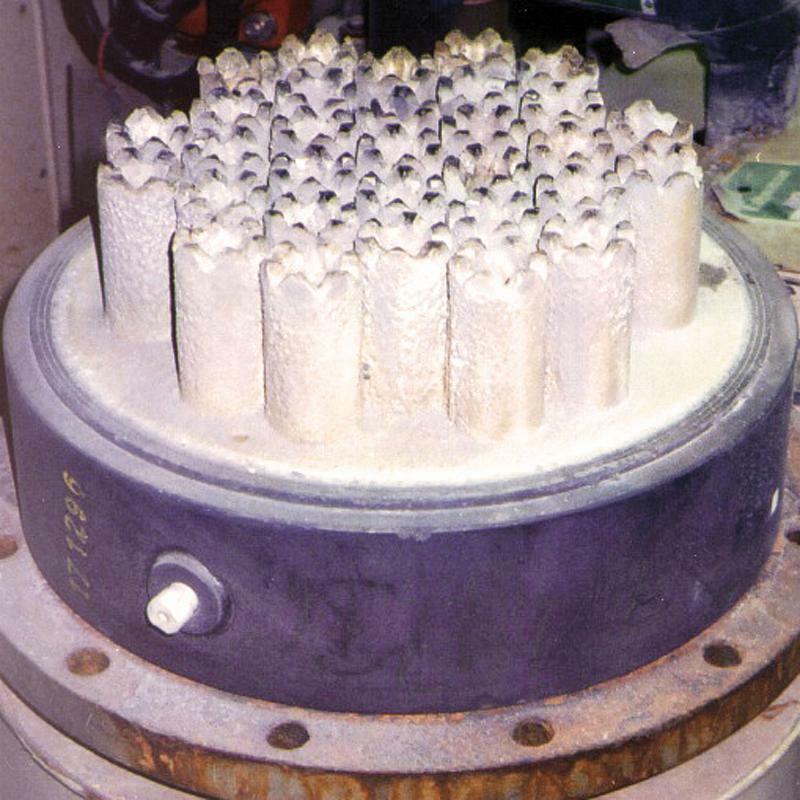 Finned heat exchangers are used in many areas e.g. 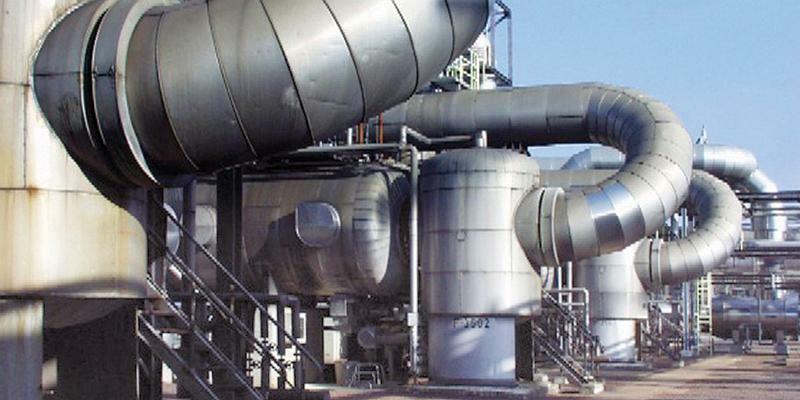 for industrial cooling systems, cooling engines, in refrigerated warehouses and in air conditioning units. 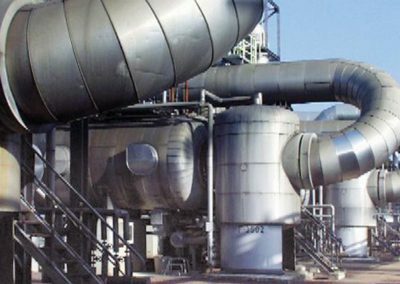 They are the most commonly used energy transfer systems. The global share of the total energy consumed across the world is significant and totals approx. 20%. 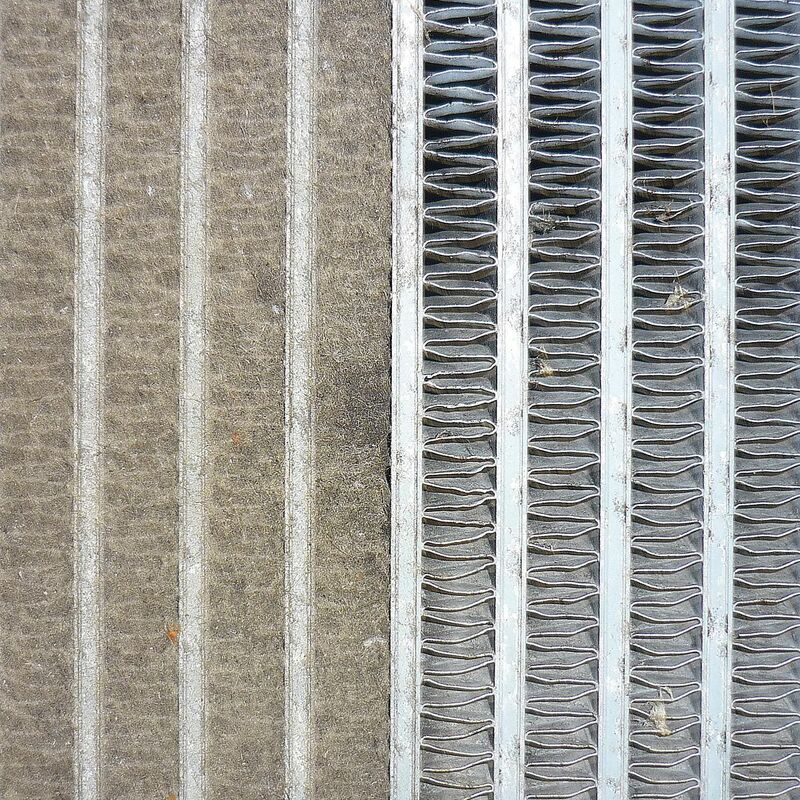 In developing countries, the energy requirements for air conditioning is rising by about 7% every year. According to forecasts, this growth looks set to continue until the year 2050. Improving the efficiency of these systems by just 5% would have considerable impact when looked at from a global perspective. 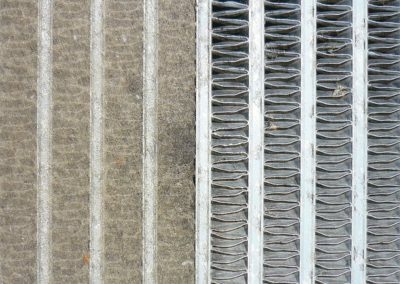 Finned heat exchangers quickly become dirty as a result of sand, dust, pollen and other suspended particles in the environment. 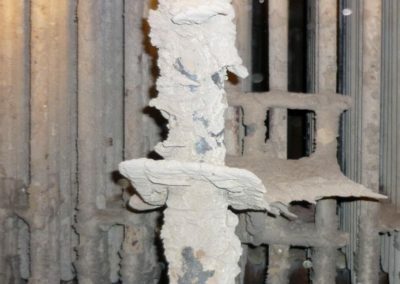 The dirt forms an insulating layer that has a significant impact on energy efficiency, quickly causing energy costs to rise by 10-20% or more. 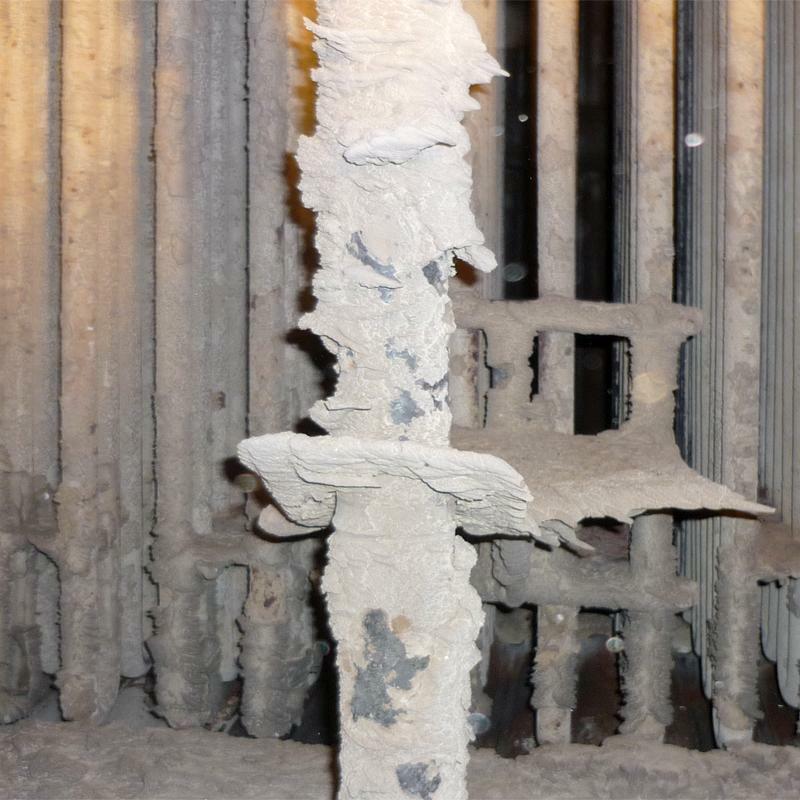 Also, the corrosion caused by the soiling reduces the service life of the equipment. 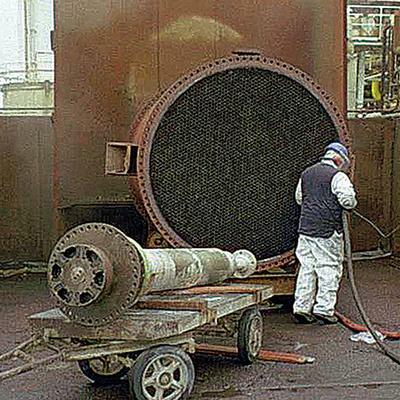 In the past, finned heat exchangers were usually cleaned by spraying chemicals followed by the use of compressed air. 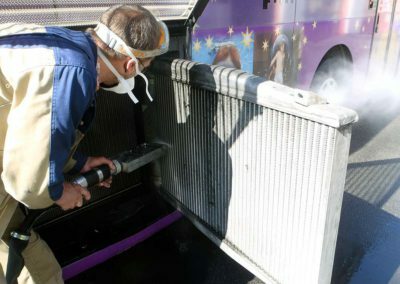 The cleaning results of this procedure are often not satisfactory and also pollute the environment or pose a threat to employees. 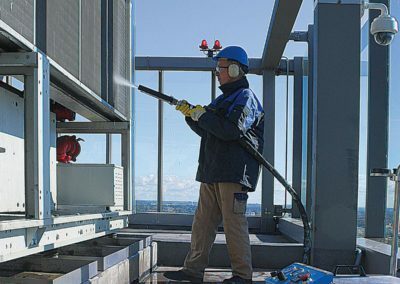 Another method is to use high-pressure cleaning equipment, usually at a relative low pressure, and with additional chemical cleaning agents. 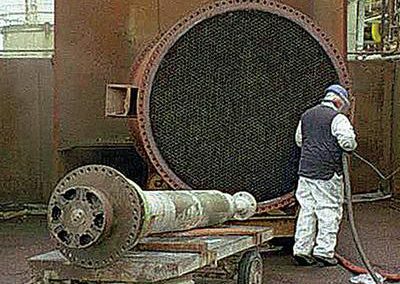 However, the dense water jet can bend the sensitive finns very quickly, especially if the water hits them at an angle, and is also not able to completely penetrate the finned heat exchangers if these are installed at greater depths. 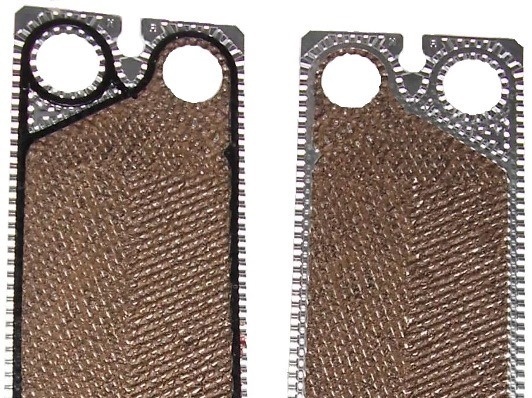 The front part does get cleaned, but not all of the inner surfaces. In addition, this method requires a lot more water than our JetMaster method plus the fact that it contains polluting cleaning agents. 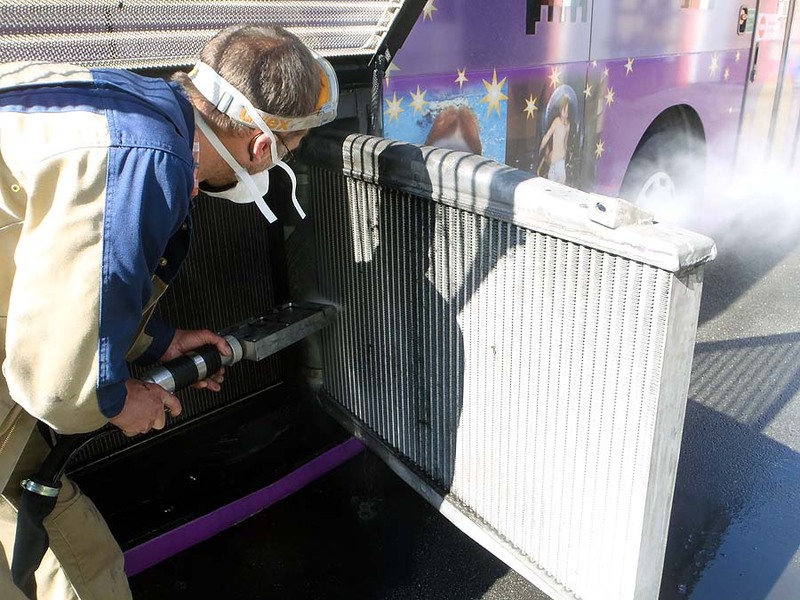 When cleaning the bus cooler, up to three exchanger units, one behind each other, can be cleaned without being dismantled. 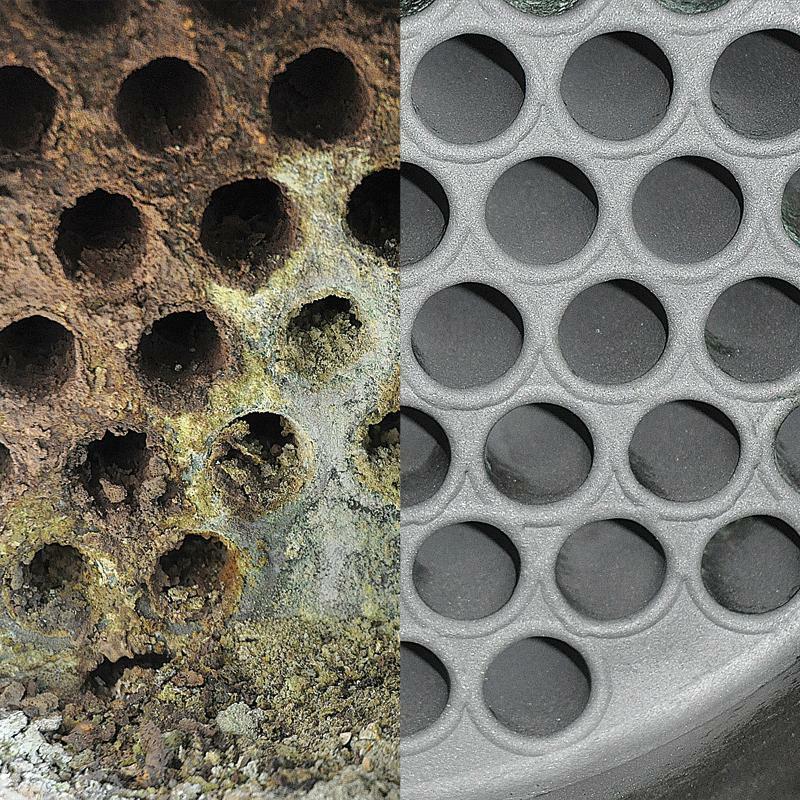 Cleaning plate heat exchangers of every type and size with PowerMaster. 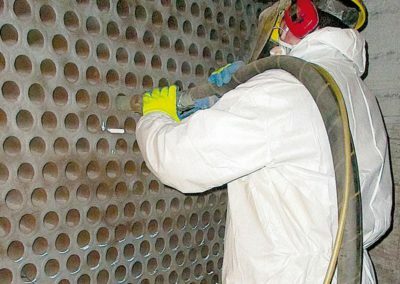 The blasting procedure PowerMaster works with compressed air, small quantities of water and, if necessary, additional water-soluble sanding agents. 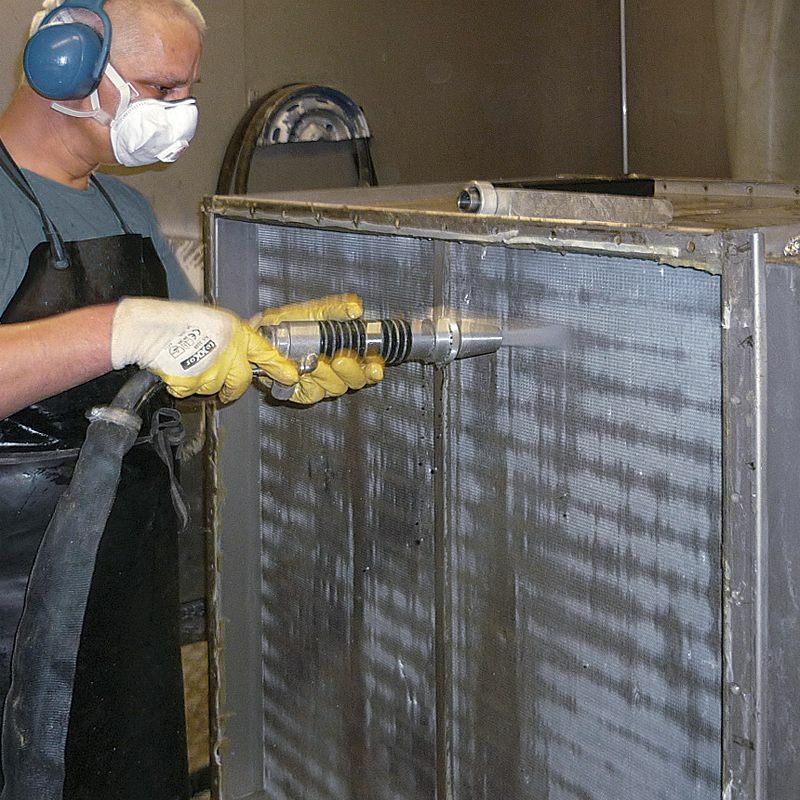 To this end, an environmentally-compatible and water-soluble granulate is added directly to the compressed air jet. 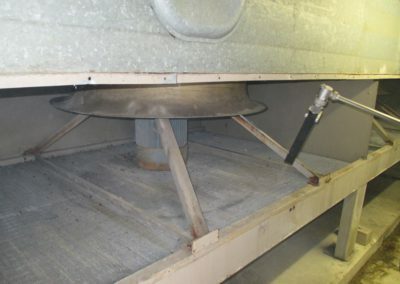 Just before the granulate exits the nozzle, it is wetted with water to increase the kinetic energy. 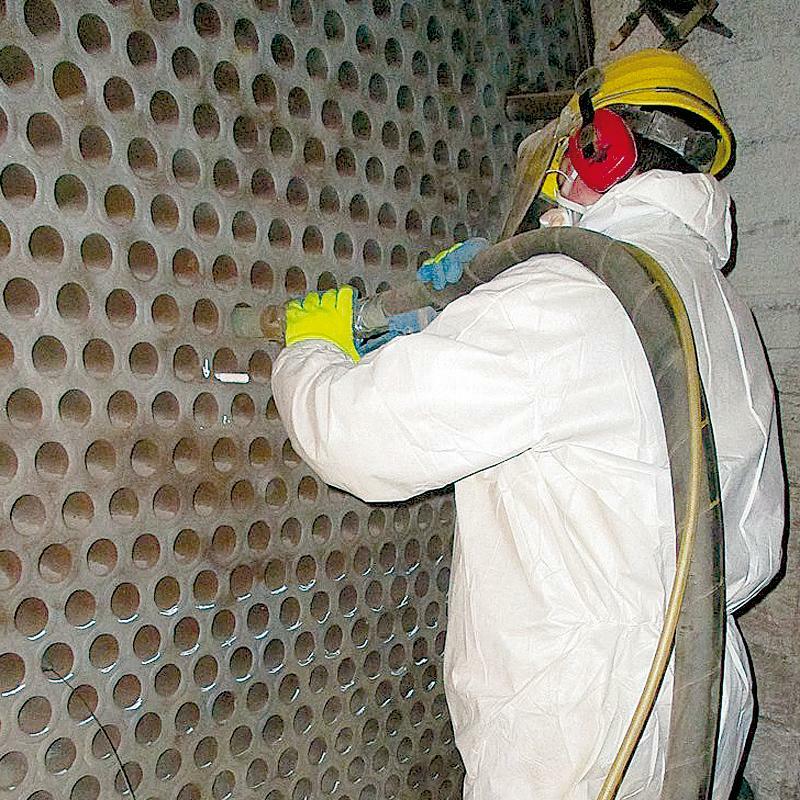 The soft granulate does not corrode the surface or only results in minimal corrosion of the surface. 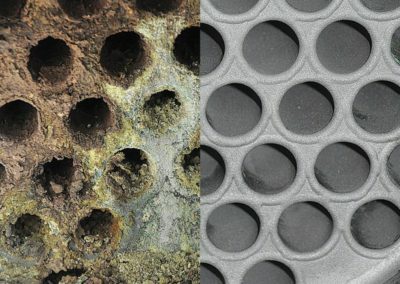 Plate heat exchangers that cannot be dismantled are treated with a combination of chemicals and the mechanical process. 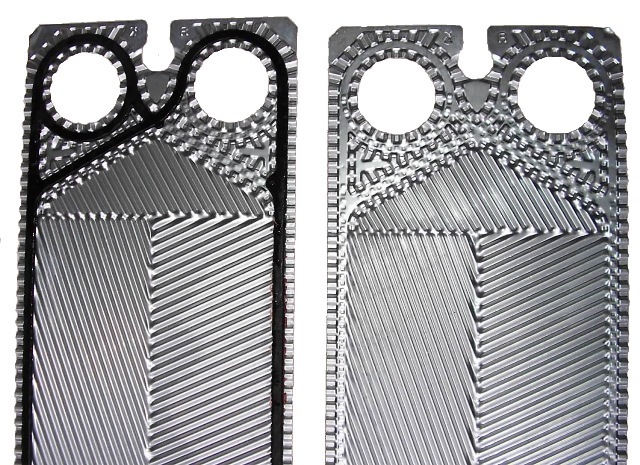 Plate heat exchangers before and after cleaning. 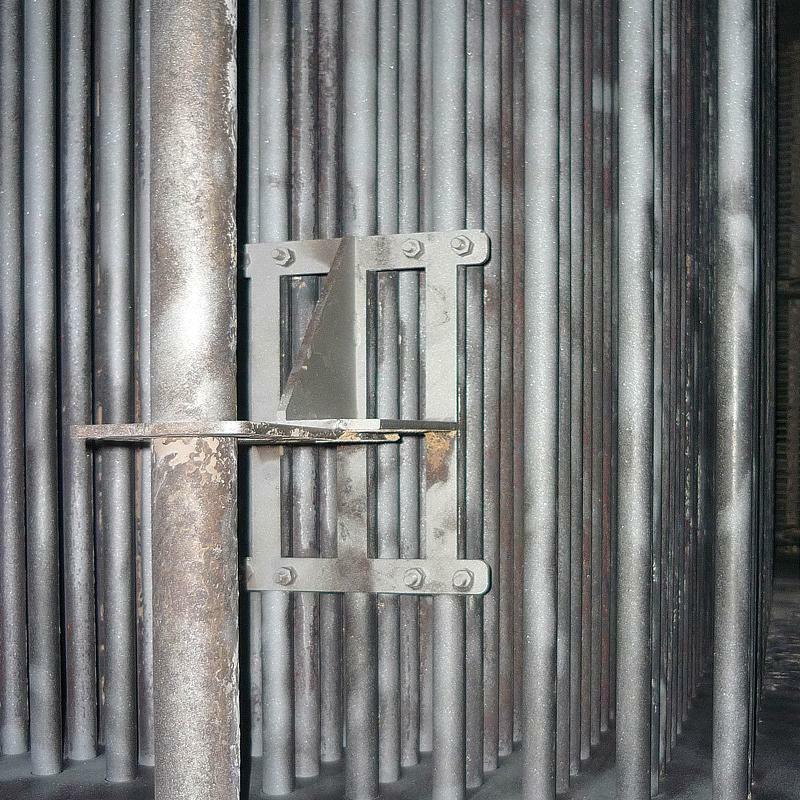 The rubber coatings remain undamaged. 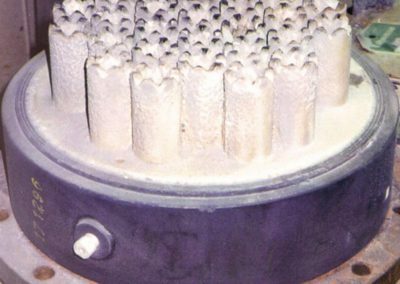 Non-abrasive cleaning of the insides of tubes with the TubeMaster for tubes with diameters of between 4 and 150mm. 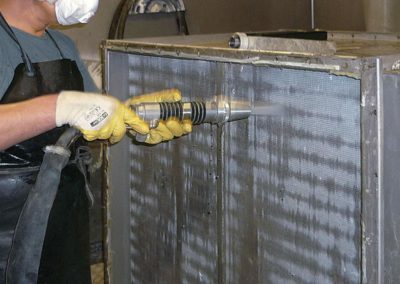 TubeMaster uses dry ice or selected special granulates for certain jobs to ensure effective cleaning of heat exchangers and pipes. 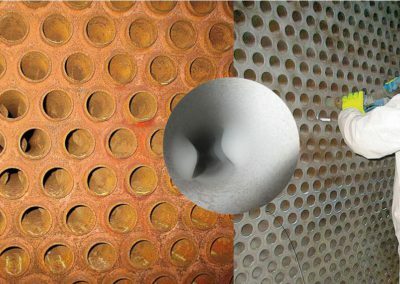 TubeMaster is the first choice for non-abrasive cleaning of the insides of tubes. With dry ice, soft granulate or special hard granulates, it also has an added polishing effect. 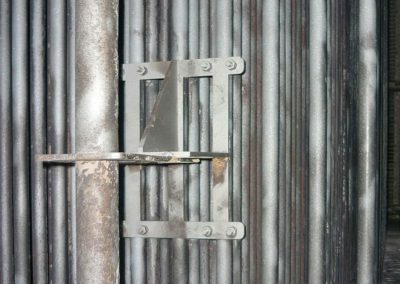 The procedure can be specifically set to the respective needs and materials. 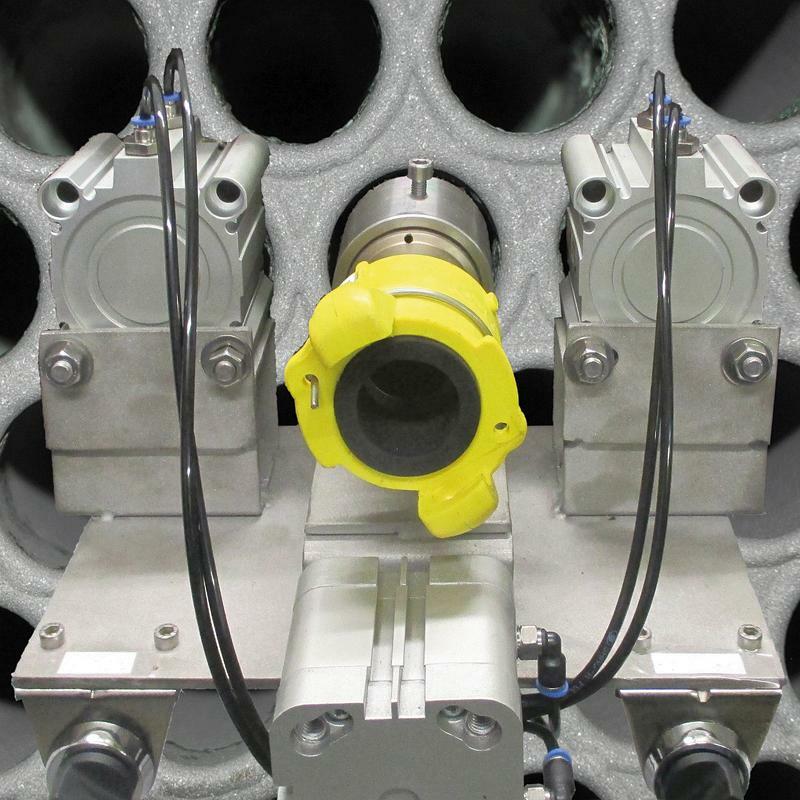 Depending on requirements, TubeMaster works with a jet pressure of between 4-10 bar. 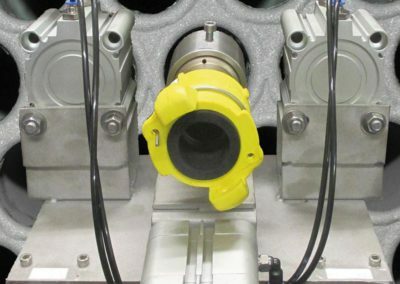 The cleaning effect is primarily restricted to the nozzle area and can be used in closed circuits with a filtering effect. 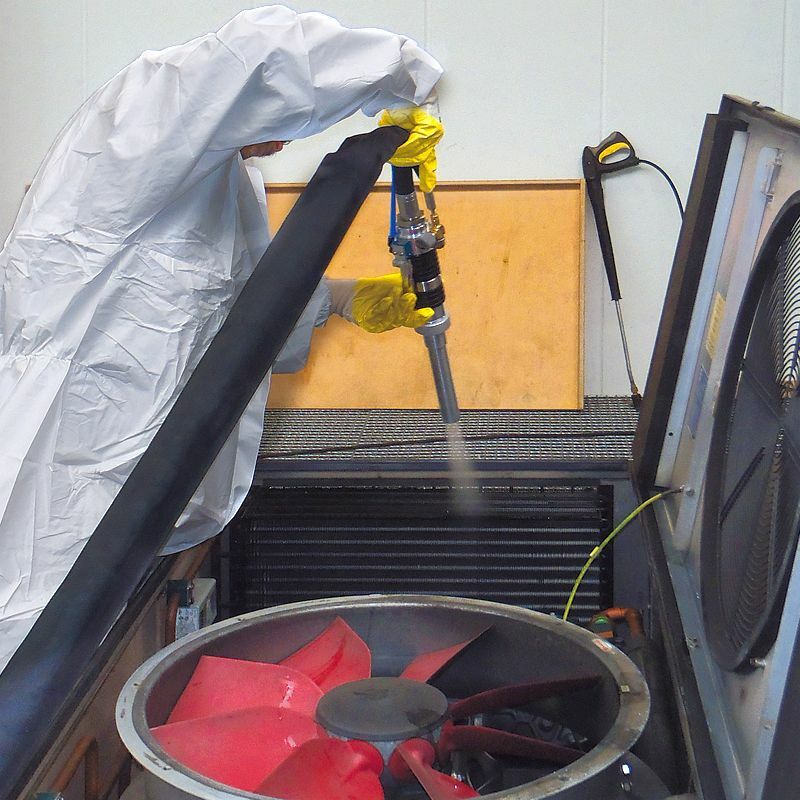 Experience has shown that thorough cleaning with the TubeMaster and, in particular the additional option of polishing the insides of the tubes, greatly improves the temperature compensation and significantly reduces the energy costs. 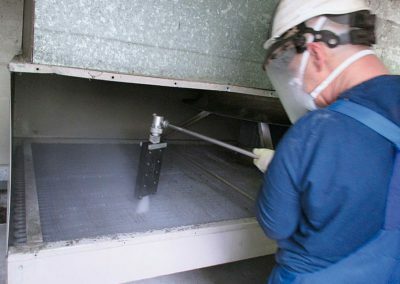 Polished surfaces have also proven to extend the operating times until the next cleaning interval. The new semi-automatic insert system ‘PressMaster’ for the TubeMaster system makes working with the TubeMaster much easier and quicker. 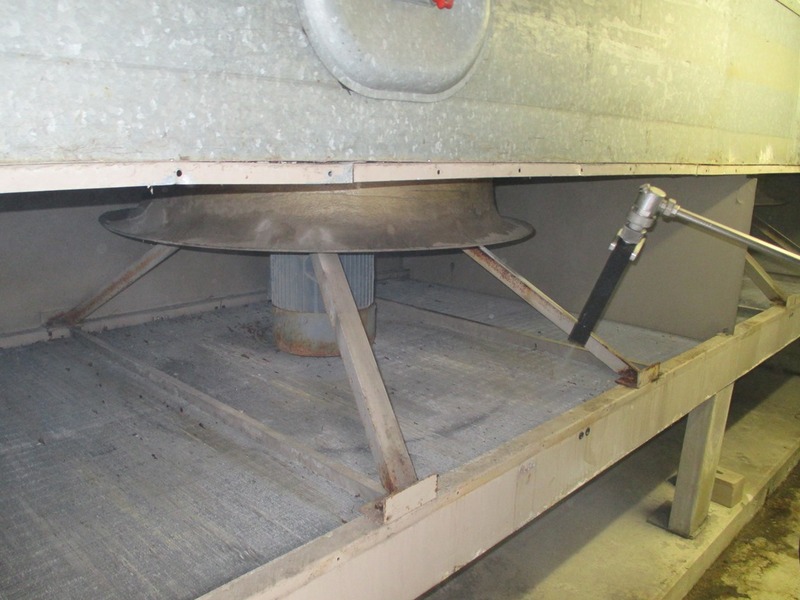 Larger exchangers can be cleaned with several systems at the same time.